MultiSensor: Mining and Understanding of multilinguaL contenT for Intelligent Sentiment Enriched coNtext and Social Oriented inteRpretation. The consumption of large amounts of multilingual and multimedia content regardless of its cross-validation can have important consequences on the society. To break this spiral, we need multilingual technologies with sentiment, social and spatiotemporal competence that are able to interpret and summarise economic information and news created from various local subjective views and disseminated via TV, radio, mass media websites and social media. To address these challenges, MULTISENSOR will mine heterogenous data from the aforementioned resources and apply multidimensional content integration. 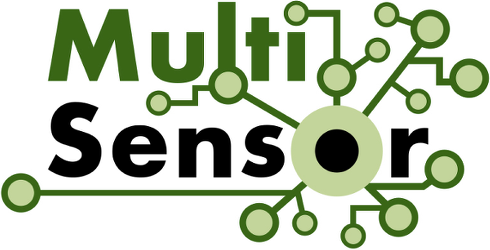 To achieve multidimensional integration of heterogenous resources, MULTISENSOR proposes a content integration framework that builds upon multimedia mining, knowledge extraction, analysis of computer-mediated interaction, topic detection, semantic and multimodal representation as well as hybrid reasoning. The developed technologies will be validated with the aid of 3 main use cases: a) Journalism, b) Commercial media monitoring and c) SME internationalisation. 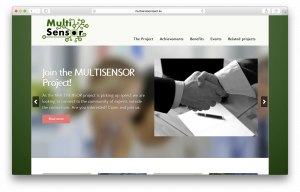 For more information please visit www.multisensorproject.eu. This project has received funding from the European Union’s Seventh Framework Programme for research, technological development and demonstration under grant agreement no. 610411.